Get your gumbo on with these rich, comforting variations from restaurants all over the city. Above: a line most often heard by young Southern ladies and gents as they entered their grandmothers’ kitchens to start what will soon become “the best gumbo I have ever had.” For those of you who never had that privilege, do not fear. New Orleans best gumbo dishes are here. With the 2018 Tremé Creole Gumbo Festival right around the corner, we’ve got all the best places to get your gumbo fixin’ right here. 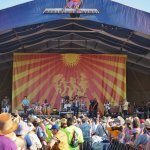 Presented by the New Orleans Jazz & Heritage Foundation, the festival brings a wide lineup of artists in addition to lots and lots of gumbo. From November 17- 18, head down to Armstrong Park to be apart of the festival’s 11th year. Until then, check out our top spots to get gumbo in New Orleans below. Nope, it’s not a form of punishment. In fact, the name perfectly sums up how you’ll feel after you taste chef John Folse’s most talked about dish: Death by Gumbo. The presentation begins with a semi-boneless stuffed quail, which is the key to this immaculate gumbo. Cut into your tasty bird and unleash all the wonderful ingredients necessary to make this dish unforgettable (along with a thick, dark roux). Flavored rice, andouille, and poached oysters, the ingredients create layers of heavenly flavors and a taste that is rivaled by very few. Chef Donald Link‘s restaurant, in addition to a rotating soup of the day, serves chicken and andouille gumbo alongside its stellar lineup of Cajun-Southern dishes. The gumbo is an apt prelude to Cochon’s rabbit and dumplings entrée. Creative points to this favorite po-boy shop for also serving up a mean gumbo — and with distinctive proteins like turkey and alligator. Of course, if you’re there, you’re not going to want to miss the fried shrimp po-boy (or pretty much any po-boy on the menu), so be sure to leave room after ordering the gumbo. Famous for her Southern fried chicken, chef Leah Chase’s homemade gumbo — loaded with crab, shrimp, chicken, two kinds of sausage, ham, and veal brisket — should not be overlooked when dining at her family’s restaurant Dooky Chase. For the best of both worlds, stop in for the all-you-can-eat lunch buffet that comes with a hot cup of gumbo served to you before you hit the line. (Plus, the peach cobbler at the end is exactly what you need to satisfy your impending sweet tooth). This two-story spot on Canal Street offers a great view of the streetcars and some seriously good seafood gumbo. It’s technically a starter, but a bowl is filling enough to carry you through, especially when paired with their Italian salad. 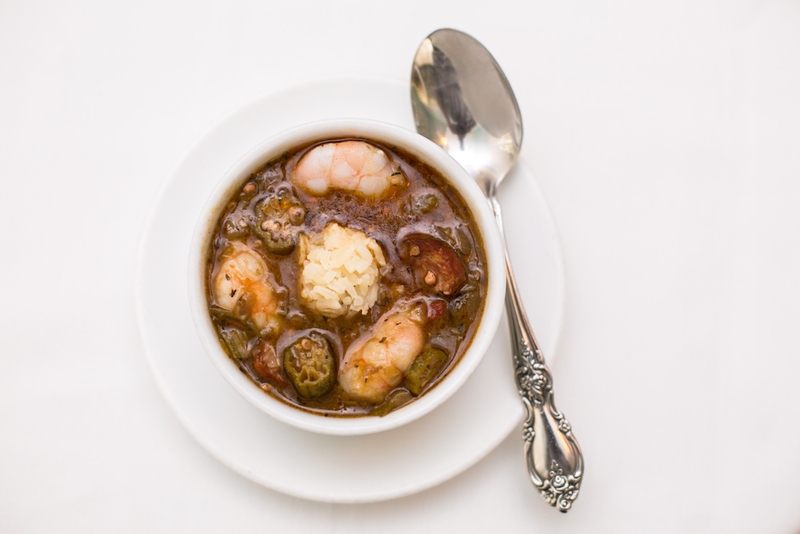 Serving up two types of gumbo since 1918, Arnaud’s has remained true to the classic Creole cuisine it knows and loves. Choose between a cup of chicken and andouille or seafood gumbo, and dine in the Jazz Bistro where you can listen to live jazz music nightly. The fine-dining institution on Bourbon Street draws on more than 100 years of history (it first opened in 1905). Traditional French-inspired options like escargot and bouillabaisse are tempting options, but go with the gumbo for a taste of true Creole fare. The seafood and okra gumbo is earthy and briny at the same time; opt for the duck and andouille gumbo if you’re craving something heartier. The name says it all. This place specializes in gumbo any which way you can prepare it, including seafood okra and chicken andouille. The z’herbes preparation offers a healthy dose of greens — turnip, mustard, and spinach — that isn’t as common on other menus. 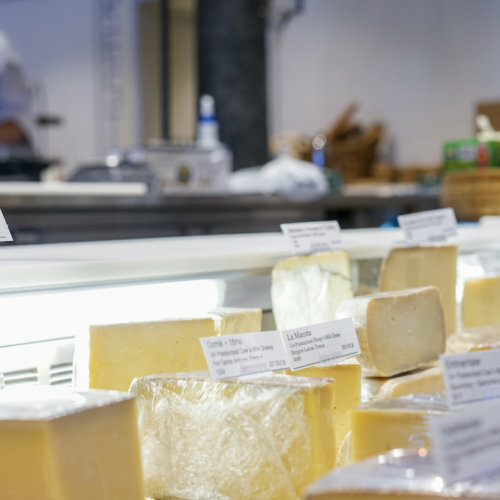 An upscale but authentic interpretation of Creole and Acadian food, Brigtsen’s offers satisfying mains like lamb shank served with Asiago cheese grits and an incredible pecan pie for dessert. Kick things off with the filé gumbo (filé is a spicy herb that comes from the sassafras tree), and know you’re in good hands with the restaurant’s namesake, chef Frank Brigtsen. This restaurant in the CBD specializes in seafood (don’t miss the oyster bar), but their land-faring preparations are exceptionally delicious, too. The chicken and andouille gumbo from their “Market” portion of the menu is a house-made must-order — Grand Isle’s executive chef Ryan Haigler came from Restaurant R’evolution, so assuredly has that whole gumbo thing under his belt. 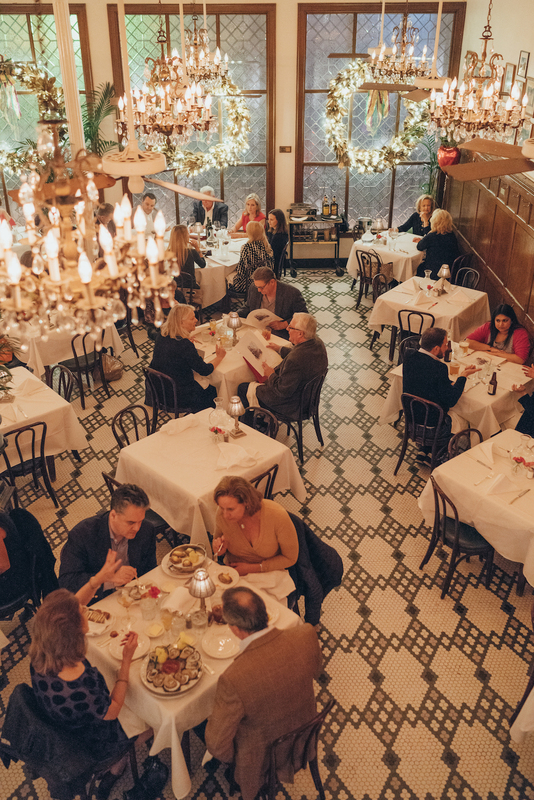 Tucked inside the Hotel Monteleone neighboring the historic Carousel Bar, Criollo is one of the best-kept secrets in the French Quarter, offering a seasonal menu that rotates just as much as the revolving bar. But one item you can always count on to be there when you need it most? Their seafood gumbo. Packed with jumbo shrimp and buttery crawfish, the flavors are rich and complex. And like most gumbos, there is an okra element to the dish, but theirs is fried to make “croutons.” A unique (and delicious) touch. Studded with chicken and andouille, Gumbo Ya-Ya is a comforting pick that is thoroughly Creole. Find Mr. B’s in the French Quarter (and come hungry). It’s no surprise that New Orleans go-to Cajun restaurant would serve up one of the best pots of gumbo. Filled to the brim with shrimp, crab, and okra, Bon Ton’s old-school family recipe will transport you to the Gulf after just one bite. Order the cup with their fresh red fish Monday through Friday, as this CBD institution is closed on weekends. Chef Tory McPhail lets spontaneity and creative whims prevail at this legendary Garden District restaurant. You’ll never quite know which gumbo you’ll get, but rest assured they’re all delicious. Especially at lunch when martinis are only 25 cents. Of course, there’s no better place to taste the region’s most coveted gumbo dishes than at the Tremé Creole Gumbo Festival. Chefs from all across South Louisiana gather at Congo Square in Armstrong Park to celebrate New Orleans’ signature dish. There, you’ll find your standard chicken and sausage, varieties of seafood, duck, and even vegan offerings. This free festival held every November has quickly become a local favorite. Go find out why on November 17 and 18.